Everbuild Timber & Laminate Sealant is a polymer rich, permanently flexible sealant and gap filler designed for sealing around laminate flooring, fitted furniture and kitchen worktops. Formulated using high clarity lightfast colour pigments, the four colour range offers a near or exact match to many popular laminate floors and melamine board finishes. 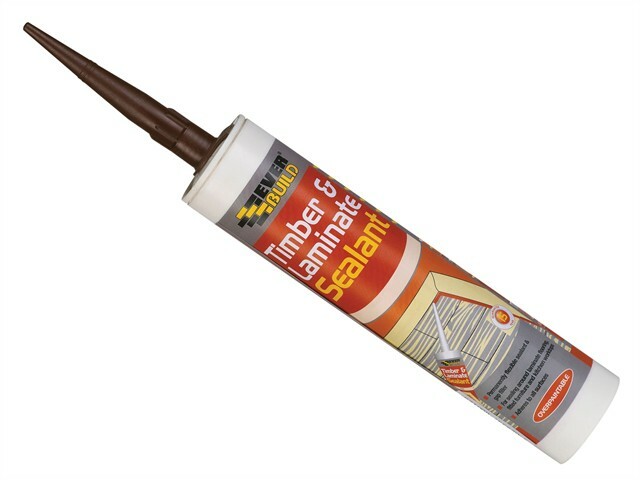 Timber & Laminate Sealant is silicone and solvent free. However, unlike conventional matt finish water-based sealants, it leaves a satin finish which will not pick up dirt and can be easily cleaned with normal household cleaners. If desired, the product can be painted, varnished or woodstained. Also contains a fungicide to prevent mould growth.